WASHINGTON (Reuters) - The Inter-American Development Bank on Friday called off next week's meeting of its 48 member countries in China after Beijing refused to allow a representative of Venezuelan opposition leader Juan Guaido to attend, two sources with knowledge of the decision said. 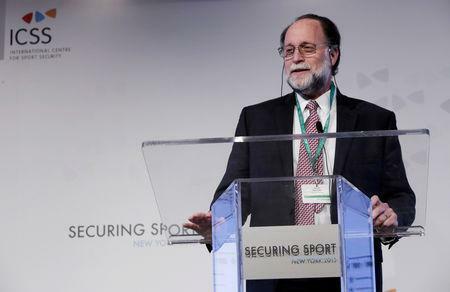 On Thursday, the United States threatened to derail the March 26-31 meeting unless Beijing granted a visa to Guaido's representative, Harvard economist Ricardo Hausmann. The meeting, slated to bring together finance and development ministers from the lender's members, was meant to mark the bank's 60th anniversary.